Family records | Who Were They? My post is early because I’m going to be away for the weekend, and I really didn’t want to miss this week! The Sepia Saturday group is a lively bunch, and we have a Facebook group to help facilitate our many inspirations. Recently, one member had brought up an old family bible she had. I mentioned that my family also has an old bible and that it has all sorts of family records written in the center. One thing led to another, and we have a Sepia Saturday prompt featuring the bibles! The one in our family, which my sister has, is quite large, about 4″ thick and 12′ high. It is in good condition, but I think that is because my mother had it rebound. We also have a massive dictionary, and the two books were displayed in a bookcase along with photos and nick-knacks for many years. 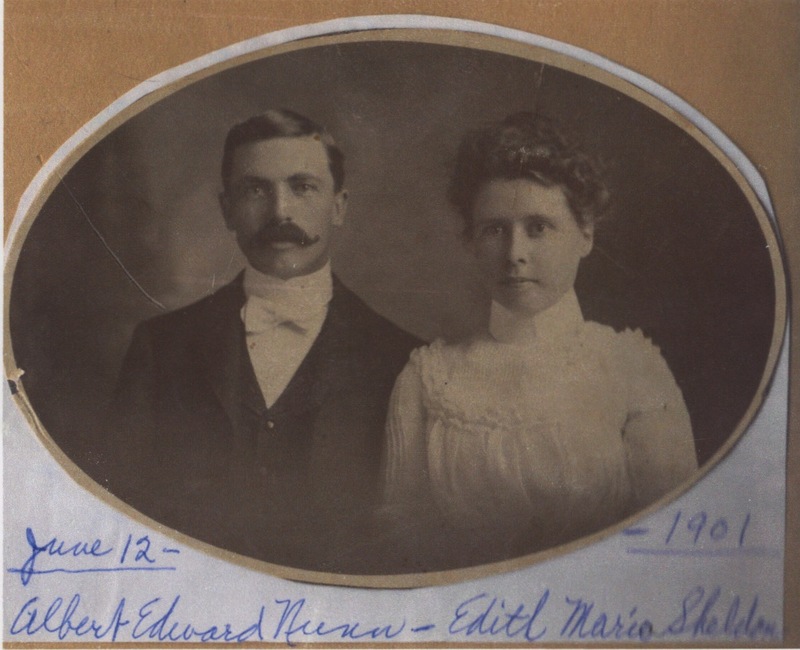 I believe the bible might have been a wedding present to my great grandparents, who have been featured here in the past, because the first entry for a marriage is for their marriage in 1901. The record keeping in a family bible is valuable to a genealogist because it is a first hand record of long ago dates. You would think the husband and wife will know their own wedding date, right? So a first hand record can help sort out some of the confusing bits of history that tend to be forgotten as people age. Births and deaths, particularly of children who died young, help to paint a better picture of the family tree for those who come long after the events have passed. 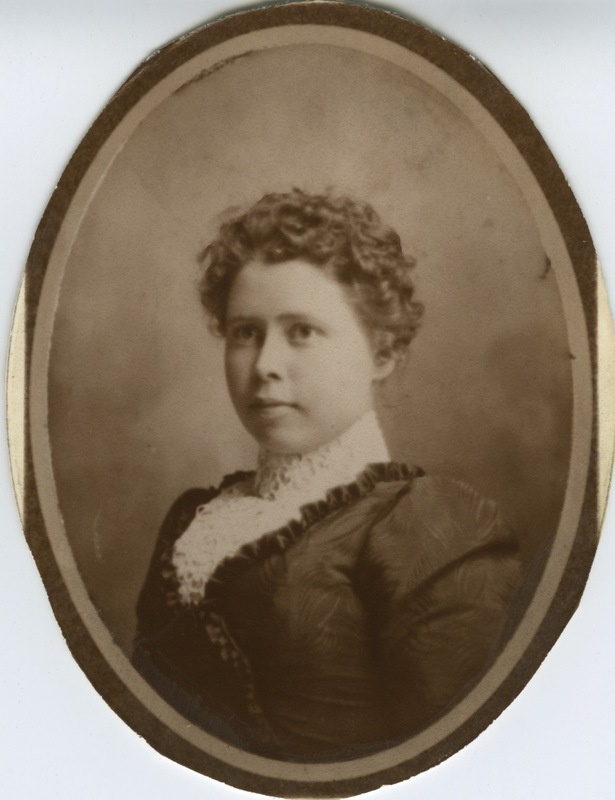 The entries were written for the most part by Edith M (Sheldon) Nunn, who was called Ama. This was a cabinet style portrait that has been cut to fit into a frame. My parents have a smaller version of this portrait that is framed and sat on the mantle for as long as I could remember. I have featured Ama in other posts, here and here. Recently my dad was visiting with a cousin who had many family photos, and he took what he could carry. I then scanned the photos and made a catalog (inspired by Cousin L from the other side of the family!) so future generations wouldn’t have to guess who these people were. My sister then preserved the photos in a photo safe album. Even though my dad is 81, he wants these photographs of his family to be available, safe and ready to hand down to others. Apa has been featured in other posts, here and here. They just don’t make books like this anymore. It really is a work of art on the inside. 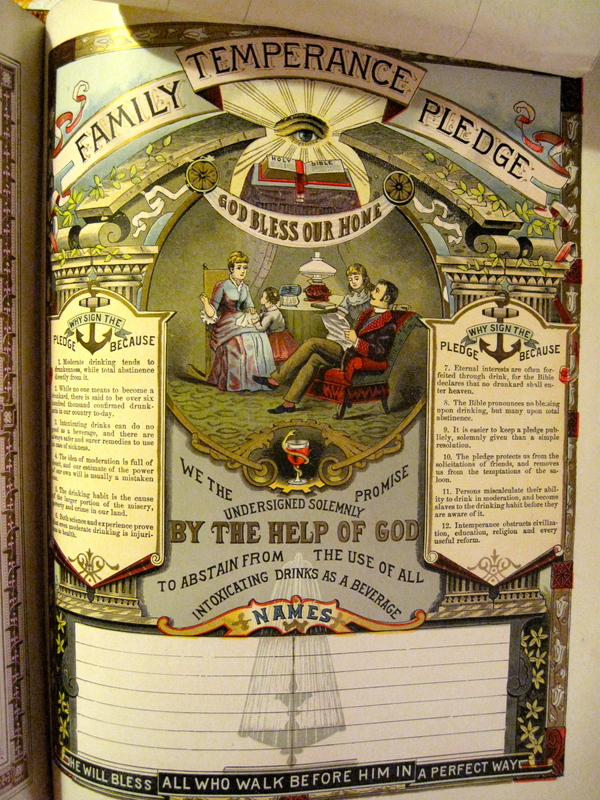 The center pages are beautifully illuminated, and of course there is the fantastic (and virtually ignored) temperance pledge! Even though the prohibition amendment to the US Constitution wasn’t passed until 1920, the movement was gaining momentum as early as the 1850s, and was in full swing in the first decade of the 1900s. I can’t say if Ama and Apa followed the pledge, but subsequent generations have not. You can see just how many family members signed the pledge, heh. There are so many treasures I could talk about, but perhaps I will save them for a future Sepia Saturday post. I don’t want to ramble on too long about this! For other images of bibles, books, handwriting, records, history and more, click over to Sepia Saturday. You will be happy you did! I like that temperance pledge page very much, including the fact that it has no pledge signatures. 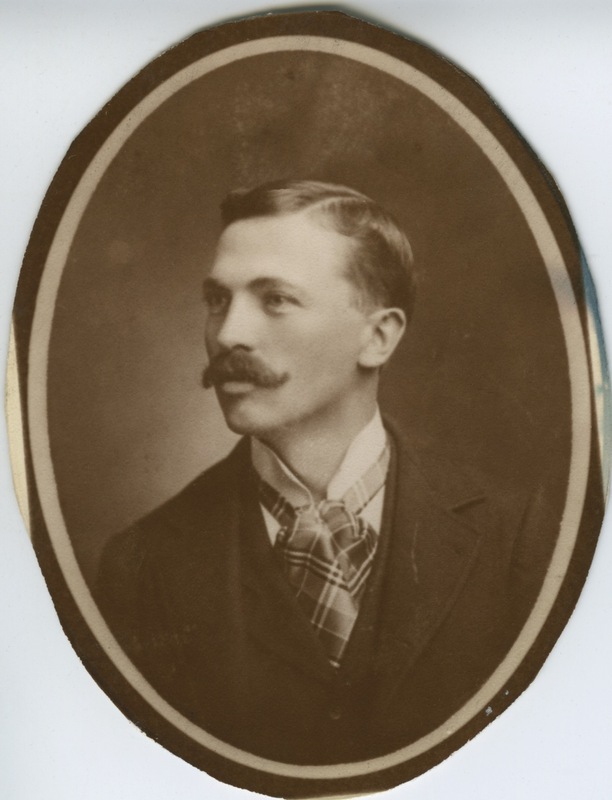 Good work scanning the photos and cataloguing them – we should all be doing more of that. That is a beautiful treasure! I’m glad it is within the family and kept like it well deserves!! Beautiful pages in the Bible. Is there an escape clause in the Temperance Pledge? was about 80 and insisted she’d never had her gall bladder removed – the surgery occurred when she was about 75. I try to write everything in my desk calendar because I find I’m starting to forget from year to year. Thanks for the post. I must admit I didn’t really know the significance of family bibles until I read it! A treasure indeed with a story to tell for future generations, One line in the post really caught my attention about details of children who died young. I know I had a sister who died long before I was born. Despite having her name I have been unable to find a record of any kind of her existence. A wonderful post that fits this week’s theme so well. The illustrations are beautiful and together with the photographs these must be heirlooms to treasure. You are so lucky to have them as part of your family history. .
No hypocrites in that family! Great story in itself. Yep, that temperance pledge page is the kicker! We found an old family bible; turns out there was an entry for my father’s brother, who died when he was a year old — without that bible, we never would have known he ever existed. Very great post — thanks! 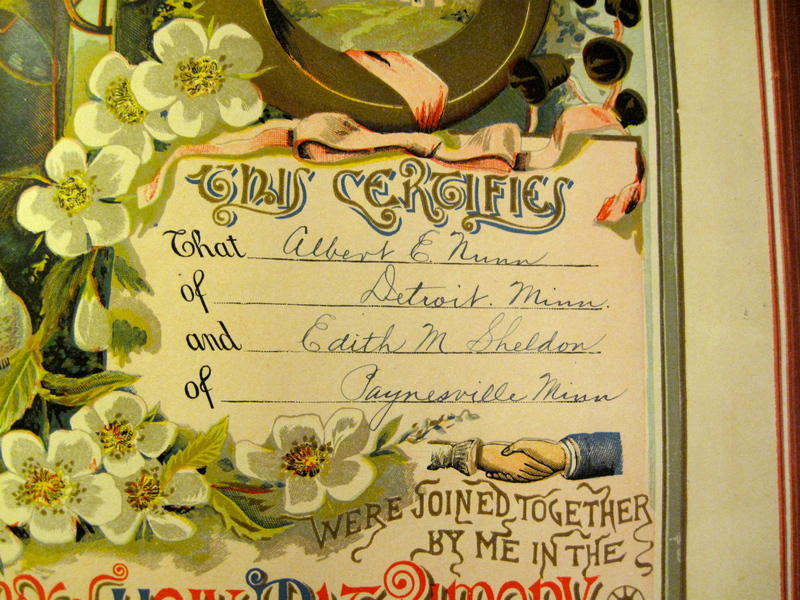 A great post on family treasures, but I think the real treasure is your great grandmother whose annotations (except for the pledge) were such a simple habit and yet made priceless gift to future generations. Wow, the temperance pledge! Cool, and isn’t it just fun what discoveries we can dig up? So very beautiful. I love the temperance pledge. That’s a beautiful old bible, a treasure from the family to the family. Beautiful pages in your Bible! Invaluable records! Two things came to my attention while reading your great post and photos. First, I have quite often found that folks dinna know/remember/or care about dates for marriages, births and such. The second was the envy of the Temperance Pledge. My gggrandfathe J.P.McPherson was an ardent member of the Sons of Temperance, Caledonia Division in New York City from 1842 until he traveled west in 1850. He wrote about it, but no documentation of the Sons of Temperance have I found. Thanks, for an interesting post. I wonder whether that Bible was sold by a temperance group. I’ll be getting the camera out again and taking more pictures of these to complete my sister’s collection. Mostly I was wondering where/who published this bible. It seems to have come from a lodge group. There is room for the lodge number on the cover page. It seems to be the I.O.O.F. group. It looks to be published after 1895 and is based on 1611 authorized version of the King James version. Somehow I can see that side of the family following the temperance pledge as they descend from an itinerant preacher but maybe the preacher drove them all to drink! IOOF is the International Order of Odd Fellows. I believe that Apa was buried at the Odd Fellows cemetery. My! What A Beautiful Documnent!